Big Pharma's Golden Age Leads To Generics Windfall : Shots - Health News Patents are expiring on medicines launched during the 1990s, triggering a wave of new generic drugs. These days most prescriptions are filled with generics, which can save consumers on copays or the amount those without insurance have to pay out of their own pocket. Later this year, if all goes as expected, a generic version of Lipitor will become available in the U.S. Chances are very good that the next prescription you fill will get you a generic medicine. Three-quarters of prescriptions these days are filled with a generic. And the proportion keeps climbing. Later this year, if all goes according to plan, the biggest generic switch in the history of the pharmaceutical industry will go down. 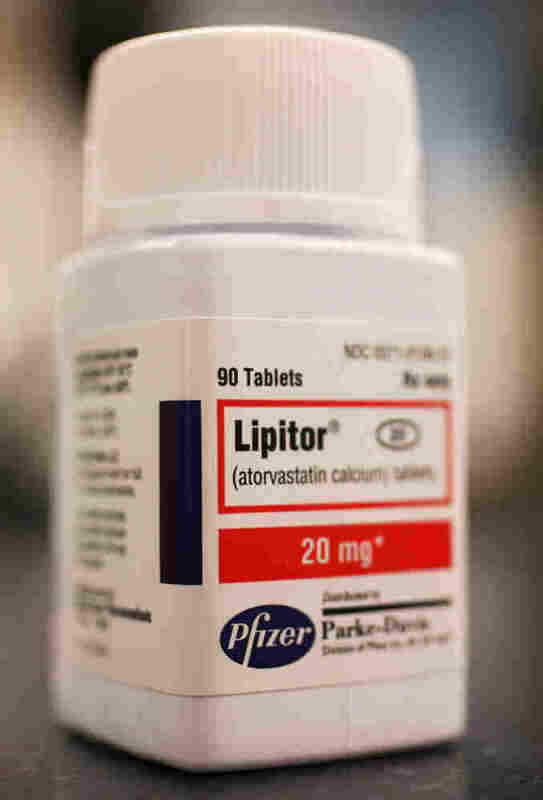 Cholesterol-fighter Lipitor, the best-selling prescription medicine in the world, will lose U.S. patent protection, clearing the way for legal, inexpensive copies. The wave of generics to treat conditions ranging from depression to high blood pressure can save consumers plenty of dough. If your health insurance covers prescription drugs, you'll have a lower copay for a generic versus a brand-name drug. The exact savings would depend on the particulars of the plan, but could easily hit $20 or $30 a month. If you have to pay for your medicines yourself, some big-box retailers and drugstore chains sell generics for rock-bottom prices. Over the next couple of years lots of other big-selling brands will also go generic. Think Plavix, a blood thinner, and Actos, for diabetes, just to name two. Why are there so many generics all of a sudden? Well, the wave actually got rolling a few years ago. Now, though, some of the biggest brands are involved. The reason for all the action is that patents are expiring on medicines launched during the 1990s, which is looking more and more like a golden era of productivity for the pharmaceutical industry. Typically the patents for prescription pills last about a dozen years or so. And as the clock runs out, the generics makers rush in. How do American feel about generics? We asked more than 3,000 people last year in a survey conducted with Thomson Reuters. Eight-five percent of people said generics are as safe and effective as brand-name drugs. And 90 percent said they're willing to take a generic when one is available.